To programmers, keyboards are like their weapons. A programmer’s performance greatly depends on the keyboard. And that’s exactly the reason a programmer needs a reliable and high quality keyboard to provide the best experience while programming. It’s not an easy job to find the perfect keyboard to suit your need, that’s why we put together a compilation of the 5 best keyboards for programming, and looking into current market, I think the list will probably make it into best programming keyboards for 2020. Why programmers need a programming keyboard? As I said above, keyboards are weapons to programmers. Most of the time programmers’ eyes stare at the monitor(s) while typing with their fingers, so that’s their fingers are in direct contact with their job. It’s necessary for a programmer to find a keyboard that suits his/her needs. 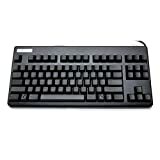 A good keyboard, without a doubt, will provide the best experience for a programmer, therefore boost their performance. On the other hand, a terrible keyboard will make things hard, frustrating, uncomfortable, unbearable for a programmer, and will definitely reduce performance quality greatly. Last update: We’ve just updated this list on 01st January 2018. Filco is one of the best mechanical keyboard producers in the market right now. Each of their line products always have a different characteristic. Filco Ninja Majestouch 2 is one of their most popular products. Filco Ninja Majestouch 2 features front printing key caps and provides a look of “almost” a blank keycap keyboard. What does that do to benefit programmers? Programmers are precision typists, and programmers remember locations of all key caps on the keyboard. That means labels on top of key caps usually do not serve much of a purpose. Not to mention front printing labels help remove the problem of fading labels. Customers like Filco Ninja Majestouch 2 not only love it because of the front printing, they love Filco Ninja Majestouch 2 because of the build quality. Filco Ninja Majestouch has a second to none build quality on the market. The keyboard’s body is really sturdy, has a little rough surface, and with sleek key caps. Filco Ninja Majestouch 2 has only 3 back lit keys: Caps Lock, Num Lock and Scroll Lock. It’s not like programmers need back light to help with the keys. This keyboard has everything you want: Full size or Tenkey-less, Blue switches or Brown switches. You can find the link for each version below. The cable length is 1.5 meters (4.9 feet), and is enough to almost all needs. Filco Ninja Majestouch 2 is weighted at 1 kg (2.2 pounds) for the tenkeyless version or 1.2 kg (2.7 pounds) for the full size version. So if you want to move around with your keyboard, tenkeyless is the way to go, but a full size keyboard won’t be much trouble. In my opinion, Filco Majestic Touch 2 should earn the title of Best keyboard for programmer. To sum everything up,Filco Ninja Majestouch 2 is the best keyboard that a programmer can ask for. 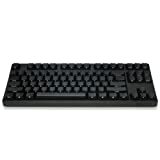 CM Storm is another well known manufacturer for mechanical keyboards. Their products are balanced between performance and price. CM Storm QuickFire Rapid is one of their most popular products. CM Storm QuickFire Rapid provides a lot of options for switches and all come from Cherry: Cherry MX Brown, Cherry MX Blue, Cherry MX Green, Cherry MX Red. Just like every other programming keyboard that I choose, this keyboard is no bell and whistle: it’s clean in design, and good in execution. The labels on key caps may look a little ugly (in my opinion), but hey, if you want, you can change the key caps. Key caps are very durable, all thanks to the laser-marking process. CM Storm QuickFire Rapid also features NKRO via PS/2 cable, unfortunately, USB still supports only 6 KRO (like any other keyboard). The keyboard also features a removable braided USB cable with cable routing: you can route the cable to back, left, or right if you want. Now this is not “yet another programming keyboard”, it’s a programming keyboard to code with style. The WASD Keyboards CODE (or CODE for short) is a typical all black keyboard, with no special engraving, not even a logo in the front. Now, the key caps have a smooth feeling, and high quality labels. The first thing you may notice is that the Windows keys have no labels, but hey, who care. CODE features a 1.8m (70.8in) Micro USB cable with a cable tie, allowing you to route your cable many different ways. However, the cable is not braided, it’ll be a disappointment for a perfectionist. The next thing you might notice after plugging the CODE, and turning up your computer is that CODE comes with LED back lighting with 7 levels. CODE are available in may options: Full Size or Tenkey-less, Cherry MX Brown or Blue switches. The CODE keyboard is also compatible with Mac machines: by using the DIP switches, you can enable or disable the OS keys, and change keyboard’s function from standard QWERTY mode to Mac mode. Please refer to the user guide or manuals for more information. The first thing that came into my mind when I took a look at the Ducky Shine 5 RGB is: it does shine. Ducky Shine 5 RGB features individually back-lit keys that make it shines like the sun in the dark. Unlike many back-lit keyboards that require software to change the colors and effects of lighting, Ducky Shine 5 RGB does not need that. Ducky Shine 5 RGB provides a way of changing lighting profile by using a combination of keys: Breathing mode, Reactive mode, Aurora mode, Ripple mode, Wave mode. You can also change the level of lighting for each color: Red, Green, Blue. Ducky Shine 5 RGB is powered by a removable mini-USB cable. The cable is 4.9 feet long (or 1.5 meters), enough for basic needs. Ducky Shine 5 RGB has a little rough body, with smooth default key caps. The key caps are double-shot ABS, Long story short, it’s thicker and more durable than normal ABS. By using DIP switches, you can change Ducky Shine 5 to be compatible with Mac. Please refer to manual that come with the keyboard. Ducky Shine 5 features 24 media keys, but these keys (combinations) are disabled by default, so you will have to follow the manuals to bring them up. Ducky Shine 5’s heart is the ARM M3 MCU, according to Ducky, to provide the fastest response to key press. Unfortunately, Ducky Shine 5 does not have a Tenkey-less version, so if you want a small keyboard, you’re out of luck. RealForce 87U is different to other keyboards that I introduced earlier is Topre Switches. In case you haven’t heard of Topre, they’re a huge OEM company based in Japan that specialize in manufacture electric components, switches, etc. RealForce 87U is available in a black color (or more like gray-ish), the body is sturdy and has high build quality with a little rough surface. The key caps are made from PBT (except the spacebar is still made from ABS) and quite rough. PBT (Polybutylene terephthalate) is a high quality material, so much more durable than ABS. A key cap made from PBT is expected to last 3 times longer than normal ABS. So if you want a keyboard to last a short amount of time, you’ll be disappointed, this keyboard will be around for really a long time. The labels on keys are printed in a dark gray color, and will be hard to see in low light condition. There are 2 exceptions: Esc key is in light red, and Windows keys have a plastic Windows logo. The space bar is on an angle to point towards the user. The USB cord is not detachable, and is placed on the top left-hand-corner of the keyboard. Topre switches provide the best sensation I’ve ever had: smooth and satisfying, the bumps are noticeable and very smooth. However it’s really hard for me to explain in words, you’ll have to try it to know for yourself. Topre switches make a little clicky sound when pressing down a key, but that’s acceptable. First of all, a good keyboard must provide excellent feedback on each key press. The feedback of a keyboard is provided by the switches, the most famous mechanical switches on the market are: Cherry MX, and Topre. Programmer-friendly keyboards also emphasize the KISS principle: it should be as simple as possible, so that we can give all attentions to our work, not our keyboards. That’s why some gaming keyboards are not suited to be programming keyboards, but this is just personal preference. Keyboard layout and key roll-over are other factors, we’ll talk about this later, but it’s best to use standard layout due to its popularity. Connectivity is huge factor in choosing a keyboard: while USB connection is popular and appears on all devices; PS/2 is a legacy connection for mice and keyboards, but we may not find PS/2 on new devices, especially laptops. Keyboard size is defined by the number of keys on a keyboard. There are several keyboard sizes but by default there are 3 common keyboard sizes: Full size, Tenkey-less (or TKL), and Compact. Choosing the keyboard size really comes down to personal preference. A full size keyboard has the advance of providing full keys (especially the numeric keys), but on the other hand it’s very heavy and user’s hands must travel a long distance to reach the mouse. A TKL keyboard is probably the best keyboard for a programmer. It provides a standard layout keyboard, without the numeric keys, and in my opinion, programmers don’t need numeric keys. Because a TKL keyboard has fewer keys, it’s lighter than a full size keyboard, and it’s much easier to travel with the keyboard. No doubt compact keyboard is the lightest keyboard, but with the cost of many keys, usually the function keys, such as: Home, Insert, Delete, Page Up / Page Down, F1…F12. If you use function keys a lot, then the compact size keyboard is not the best choice. If you’ve never used TKL or compact size keyboards, I recommend that you should give it a try, because you’ll be amazed how much space you save, and it’ll be much easier to reach for your mouse. I’ve been using the Microsoft Sculpt Ergonomic Keyboard for quite some time now, and I really like it. It’ll take a few days to get used to, it will not make you type faster, and once you get used to ergonomic keyboards, it’ll be hard to come back to the normal keyboard. This is purely my opinion, but unless you’re experiencing wrist pain, you shouldn’t buy ergonomic keyboards. This is because the feedback of keys on ergonomic keyboards are not good, and they don’t use mechanical switches on ergonomic keyboards. But mostly because I’m using several keyboards in my daily routine: one at work, one at home, on my laptop, and one Bluetooth keyboard for my iPad. There’s also an article on HealthyTyping.com about this issue, you should read it if you’re planning to buy a ergonomic keyboard. Because of those issues above, I won’t include ergonomic keyboards in this article, instead, I’ll compile a list of the best ergonomic keyboards to review in the near future. Computer keyboards can be classified by the switch technology that they use. Computer alphanumeric keyboards typically have 80 to 110 durable switches, generally one for each key. The choice of switch technology affects key response (the positive feedback that a key has been pressed) and travel (the distance needed to push the key to enter a character reliably). Newer keyboard models use hybrids of various technologies to achieve greater cost savings. There are several switch technologies used to make a keyboard: membrane, dome-switch, scissor-switch, mechanical switch, etc. While dome-switch and scissor-switch are used mainly on laptop keyboards, normal keyboards predominantly use membrane and mechanical keyboards. 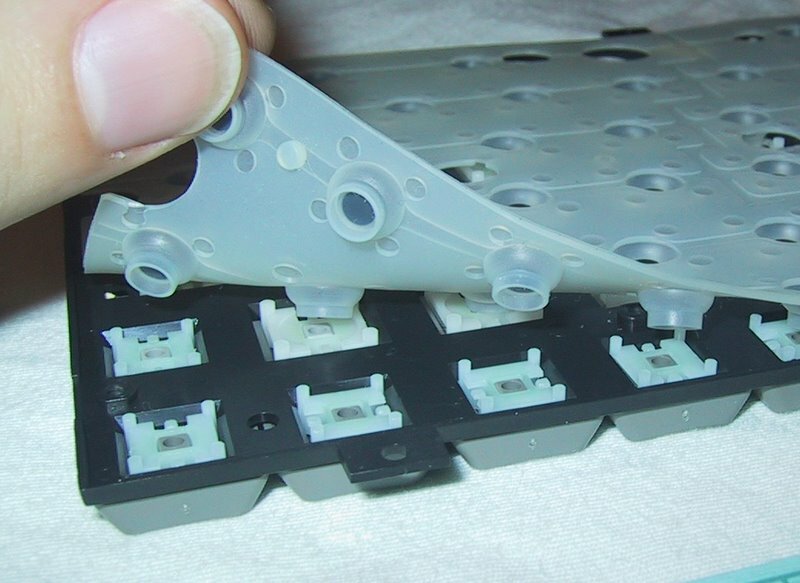 Membrane keyboards use a one-piece plastic keytop/switch plungers which press down on a membrane to actuate a contact in an electrical switch matrix to register a key press. Generally, membrane keyboards do not produce a noticeable physical feedback. Mechanical keyboards use separate switches underneath every key. Each switch is composed of a base, a spring, and a stem. Depending on the shape of stem and spring, each switch type can produce a different actuation force, travel distance, and sound. Also note that mechanical keyboards allow you to replace keycaps quite easily. 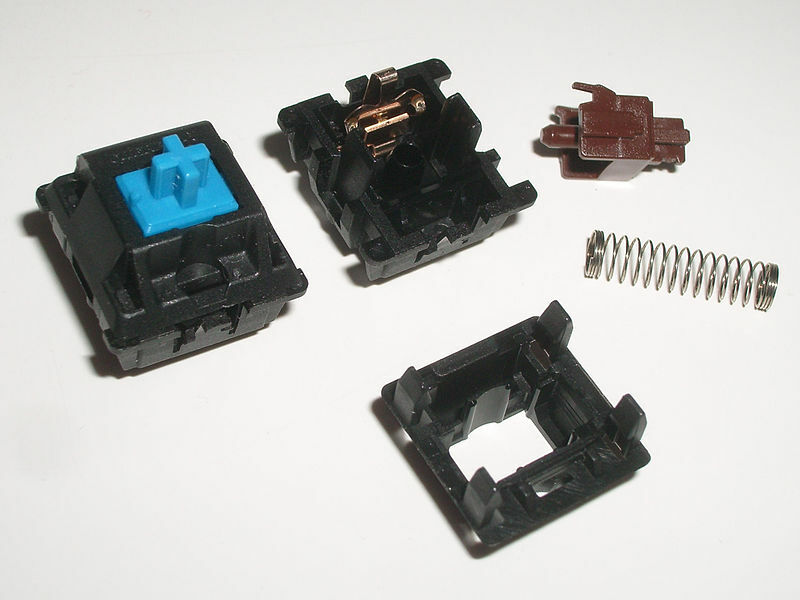 Major producers for mechanical switches are Cherry and Topre. While you may think the difference between 60g and 45g actuation force is nothing, it may not be much of a difference with the first few strokes, but after 1 hour of programming, you’ll find your fingers sore because of typing fatigue and hope to buy a different keyboard. For programming, it’s best to choose switches with low actuation force, such as Topre, MX Blue or Brown. While MX Blue switches have higher actuation force (50g) and with a clicky sound, MX Brown switches have lower actuation force (45g) but without a clicky sound. Topre switches are much like MX Brown, but in my opinion, provide better feedback than the MX Brown. The level of sound may be a factor when choosing a keyboard for yourself. I have no problem using clicky keyboards at my office, but at home, I tend to not use them. Cherry MX Blue switches are the way to go if you don’t care about the noise that the switches make. Blue switches provide an identical clicky sound when you press a key, and blue switches are very accurate for fast typists. They also provide a tactile feedback when you press they key. 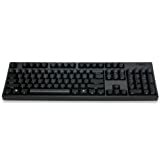 Cherry MX Brown switches are suitable for typists who prefer a silent work environment. Brown switches also provide a tactile feedback on key press, but they don’t produce the clicky sound, hence they are more silent than the Cherry MX Blue. Topre switches are Japanese-made switches. They’re not as popular as other Cherry MX switches, but are gaining momentum. Topre switches are quite like Cherry MX Brown switches: tactile feedback, non-clicky sounds, 45g actuation force. But in my opinion, Topre switches are better than the Brown, you have to try it to feel it. Key rollover is the ability to register multiple key presses at the same time on a keyboard. This feature benefits gamers more than programmers but, since we’re talking about mechanical keyboards and programmers also play games too, I decided to give some information on this topic. A keyboard has a label that says: “5 key rollover”, that means that keyboard can only register 5 keys at the same time. Meanwhile, a keyboard labeled as “N-key rollover” does not have limitation on number of key presses (but may depend on other factor(s), normally connection). The key rollover is defined by two factors: the keyboard itself and the connection. Most mechanical keyboards support N-key rollover (unlimited key at the same time). Normally, USB connection has 6 KRO, and PS/2 has NKRO. Some keyboards support NKRO by using 2 USB ports at the same time. Although it’s still the beginning of 2019, we’re looking forward 202 with many new programming keyboards. As soon as new keyboards come out in 2020, we’ll try to get our hands on those products, test and review those products. But with the current trend, I doubt there will be any better keyboards for programmers that will come out into market in 2020. So probably, this list of best keyboards for programmer 2020 will remain the same as the list in 2019. Finding the best keyboard for programming is not an easy task with the amount of keyboards available on the market. That’s when buying guides like this one come into play. 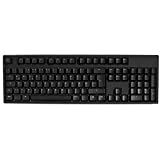 This list was carefully written, researched, and rewritten (many times) to provide the best information on programming keyboards. We hope you pick up the best keyboard that suits both your needs and your budget. If you think we’ve missed a good keyboard on this list, let us know! Thank you for the in-dept review, must say I love it. I’m planning to buy the Ducky Shine, what’s noise difference between Blue and Brown switches? Are they noticeable? Have you tried Filco Ninja Majestouch-2? Do you have any problems typing without the labels on the keycaps? Yes, I have. Actually, I’m using the Filco Ninja Majestouch-2 at work right now, and I just love it. I think it will not be any problem at all. I know it’s not out yet, but have you looked at the Ultimate Hacking Keyboard? What are your thoughts on it? Do you think it could be a contender for 2018? I love the Ultimate Hacking Keyboard, and actually, I ordered one for myself months ago (with the track ball and key cluster). I’ll update this article right after I have the keyboard, but I can’t say anything at the moment. No mention to the DAS Keyboard? Thank for your comment. We’re working very hard to update the new version with new mech keyboards tested.